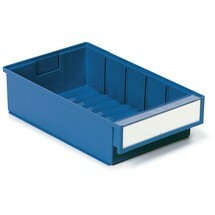 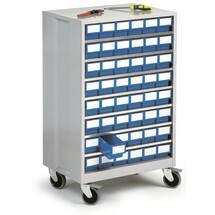 The drawer cabinet with an especially robust metal frame and 48 drawers in robust plastic is suitable for the well organised, space-saving and secure storage of small parts. 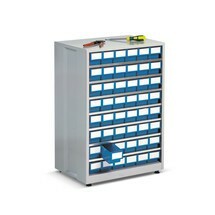 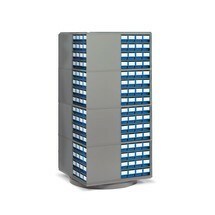 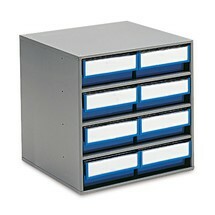 The drawer cabinet with an especially robust metal frame and 24 drawers in robust plastic is suitable for the well organised, space-saving and secure storage of small parts. 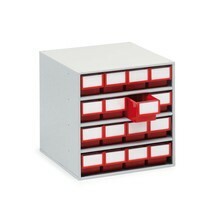 The drawer cabinet with an especially robust metal frame and 8 drawers in robust plastic is suitable for the well organised, space-saving and secure storage of small parts. 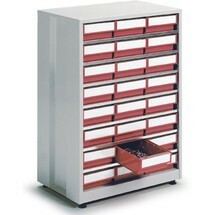 The drawer cabinet with an especially robust metal frame and 16 drawers in robust plastic is suitable for the well organised, space-saving and secure storage of small parts. 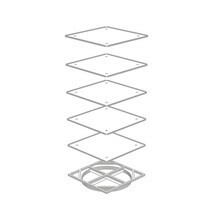 The drawer cabinet with an especially robust metal frame and 4 drawers in robust plastic is suitable for the well organised, space-saving and secure storage of small parts.